Hendree Jones, PhD, is a professor in the Department of Obstetrics and Gynecology at the School of Medicine, University of North Carolina in Chapel Hill. She is also the executive director of UNC Horizons, a comprehensive drug treatment program for pregnant and parenting women and their drug-exposed children. She is also an Adjunct Professor in the Department of Psychology at UNC-Chapel Hill and an Adjunct Professor in the Psychiatry and Behavioral Sciences and in the Department of Obstetrics and Gynecology, School of Medicine at Johns Hopkins University. Dr. Jones is an internationally recognized expert in the development and examination of both behavioral and pharmacologic treatments for pregnant women and their children in risky life situations. 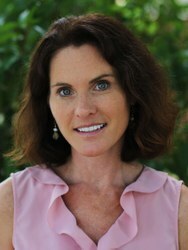 Dr. Jones has received continuous funding from the United States National Institutes of Health since 1994 and has published over 175 publications, two books on treating substance use disorders (one for pregnant and parenting women and the other for a more general population of patients), numerous book and textbook chapters. She is a consultant for SAMHSA, the United Nations and the World Health Organization. Dr. Jones leads or is involved in projects in Afghanistan, the Southern Cone, the Republic of Georgia, South Africa, and the United States which are focused on improving the lives of children, women and families.